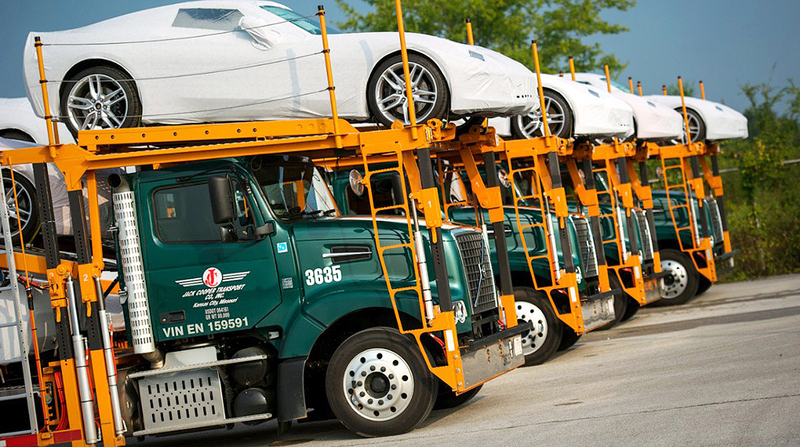 A top executive at Jack Cooper Holdings said the company has acquired the assets of Seattle-based Selland Auto Transport, a move that extends the car hauler’s presence in the western United States and provides more balance to the firm’s delivery network. Sarah Riggs Amico, executive chairman of Jack Cooper, said the purchase was completed Sept. 17 and includes about 100 tractor-trailer rigs but no real estate. The company will take on about 85 of Selland’s employees, including drivers, and will retain existing management, Amico said in an interview with Transport Topics on Nov. 27. Selland is one of three acquisitions Jack Cooper has made since the company completed a financial restructuring in June 2017 when bondholders agreed to exchange $429.2 million in debt for a combination of cash and stock warrants as part of a plan to avert a Chapter 11 bankruptcy filing. Amico declined to identify the other two acquisitions, but said one was in the company’s logistics division and the other was in a non-transportation/diversified business. Amico also declined to say how much was paid to acquire Selland’s assets, but she noted that no money was paid to the owners for intangible assets. Selland has been in business since 1967 and provided vehicle transportation for all major auto manufacturers, Amico said. According to a Dun & Bradstreet report, Selland listed annual revenue of $52.1 million and a net loss of $3.7 million. In 2016, a group of about 240 drivers, owner-operators and shop employees at Selland voted to join the Teamsters union, although, according to Amico, no contract was ever negotiated. “We’re proud to be a union carrier,” said Amico, who lost a close race for lieutenant governor of Georgia in her first campaign for public office in November. Amico was a registered Republican until 2011 but ran as a Democrat, and in her candidate profile she touted her business experience. She is a graduate of Washington & Lee University and earned an MBA from Harvard Business School. While operating costs for Jack Cooper may be higher than for nonunion competitors, Amico said the company benefits from having higher quality drivers, lower turnover and greater service reliability for customers, many of whom have employees that are represented by the United Auto Workers. Amico’s father, Michael Riggs, is CEO of Jack Cooper, and her husband, Andrea Amico, serves as president of Jack Cooper Logistics. Jack Cooper traces its history to 1928 when the company began hauling for General Motors at the Leeds Assembly Plant in Kansas City, Mo. In 2009, the company merged with Active Transportation of Joplin, Mo., and acquired another carrier, DMT Trucking, in 2011. Jack Cooper’s biggest acquisition came in 2013 when it acquired substantially all of the assets of Allied Systems Holdings, a prominent family-owned car hauler based in Atlanta that was in bankruptcy, for $135 million. The deal made Jack Cooper the largest car hauler in the nation based on revenue, a position it held until 2017 when it was surpassed by United Road Services. Amico said Jack Cooper is currently operating about 2,000 tractor-trailer rigs out of a total fleet of 2,637 rigs and does not have a large presence at any of the factories where General Motors plans to end production in 2019. Jack Cooper ranks No. 54 on the Transport Topics Top 100 list of largest for-hire carriers in North America with revenue of $602.8 million in 2017.